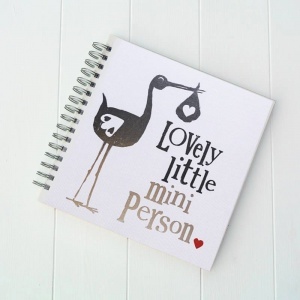 Bold and quirky baby keepsake gifts from Bristol-based gift-ware company The Bright Side. Set up by Rachel Bright, their products feature unusual yet positive quotations. Choose from our range of Bright Side gifts here at The Baby Hamper Company. Order your's online today! A perfect addition to any of our newborn hampers. Available with UK express and worldwide shipping options.